12th International Conference on Orthopedics, Osteoporosis & Trauma : Vydya Health - Find Providers, Products. Orthopedics 2019 welcomes attendees, presenters, and exhibitors from all over the world to London, UK. 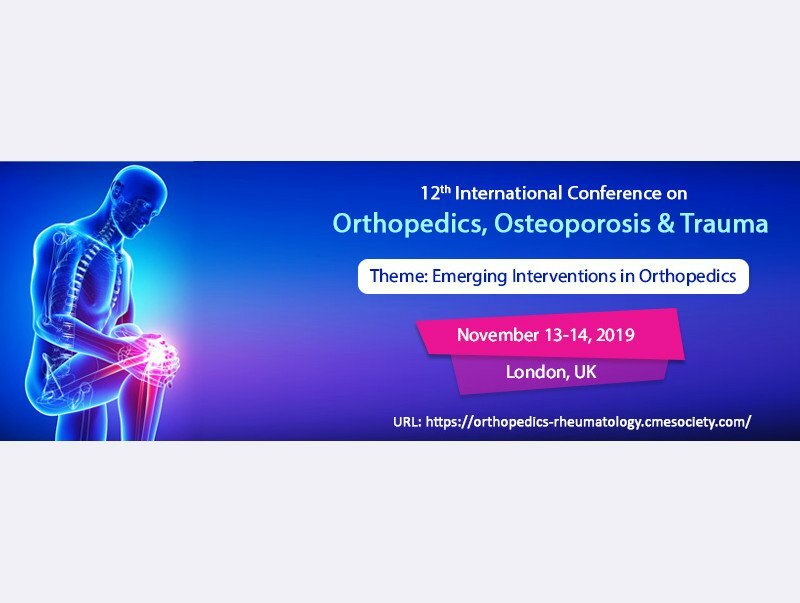 We are delighted to invite you to register and attend for the “12th International Conference on Orthopedics, Osteoporosis & Trauma” which is going to be held during November 13-14, 2019, London, UK. Orthopedics 2019 has been designed in an interdisciplinary manner with a multitude of tracks to choose from every segment provides you with a unique opportunity to meet up with peers from both industry and academia and establish a scientific network between them. We cordially invite all concerned people to come join us at our event and make it successful by your participation. The conference will be organized around the Theme “Emerging Interventions in Orthopedics”. Our goal is to deliver an outstanding program which covers the entire spectrum of research & innovations in Orthopedics, Osteoporosis & Trauma and share the cross-cultural experiences of various treatment procedures. Orthopedics 2019 is an annual meeting of Orthopedics, Osteoporosis & Trauma Organization as well as committees to discuss the future of the Orthopedics and Osteoporosis in terms of collaboration, structures and organizational development.